From his enslavement to freedom, Frederick Douglass was one of America’s most extraordinary champions of liberty and equality. Throughout his long life, Douglass was also a man of profound religious conviction. 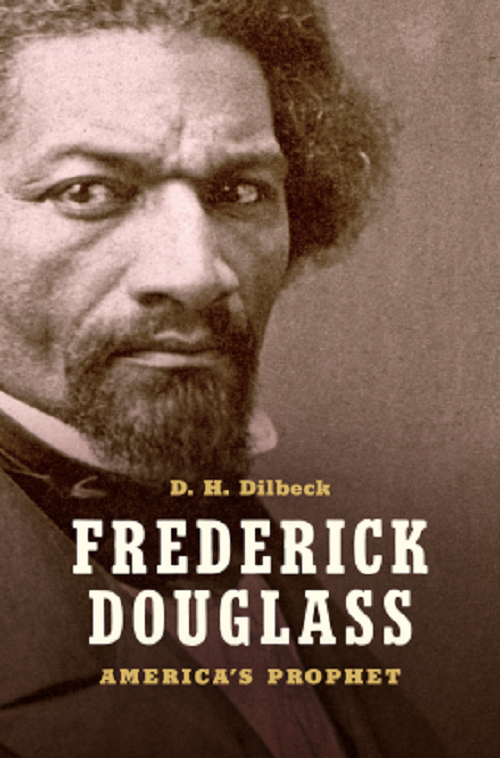 In this concise and original biography, D. H. Dilbeck offers a provocative interpretation of Douglass’s life through the lens of his faith. In an era when the role of religion in public life is as contentious as ever, Dilbeck provides essential new perspective on Douglass’s place in American history. Douglass came to faith as a teenager among African American Methodists in Baltimore. For the rest of his life, he adhered to a distinctly prophetic Christianity. Imitating the ancient Hebrew prophets and Jesus Christ, Douglass boldly condemned evil and oppression, especially when committed by the powerful. Dilbeck shows how Douglass’s prophetic Christianity provided purpose and unity to his wide-ranging work as an author, editor, orator, and reformer. As “America’s Prophet,” Douglass exposed his nation’s moral failures and hypocrisies in the hopes of creating a more just society. He admonished his fellow Americans to truly abide by the political and religious ideals they professed to hold most dear. Two hundred years after his birth, Douglass’s prophetic voice remains as timely as ever.